CPU Model, Hard Disk size, and Various options are upgraded an a regular basis to fit current market expectations for industrial computers. 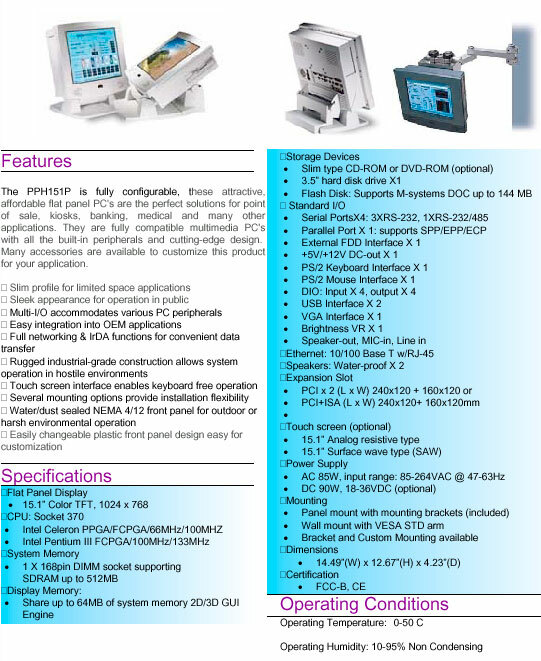 These units are compatible with the /MSP and /MSW mounting systems. In the later case, the base support is not required offering a more compact unit. Wireless networking and PCMCIA options are also available. Current CPU and Disk standard: Intel PIII 1.2GHz with 20GHD.